Many families I know have decided to stay in Singapore this year rather than travel, and in light of the difficult economic climate as a well as health concerns this makes perfect sense. Luckily there are plenty of fun things to do in Singapore with your family without blowing the budget. One way to enjoy some family time is to take part in the activities organised as part of this year's International Museum Day (IMD) celebrations that will run for 10 days from 23 – 31 May 2009. The theme this year is “Holiday Fun at Home!”, and there will be lots of family oriented activities and events to help foster a museum-going culture among families and their children. International Museum Day(IMD) has been celebrated all over the world since 1977. This year in Singapore there will be free activities across more than 14 museums and the top museums and visitor centers will have free Open House days on 31st May. You will be able to enjoy free admission to international blockbuster exhibitions such as Christian Lacroix the costumer at the National Museum of Singapore and The Kangxi Emperor: Treasures from the Forbidden City at the Asian Civilisations Museum. I have seen both these exhibitions and they are both breathtaking. To kick off its 10-day run, IMD 09 will feature a Family Carnival at National Museum on 24th May. A slew of activities await including puppet and storytelling performances, craft workshops and interactive playground for young children. Everyone can look forward to a Chinese culture medley at the Asian Civilisations Museum Open House weekend of 30-31st May. Entry is free and the kids can try their hands at Chinese calligraphy, martial arts and dance, and making their very own paper lanterns. Other highlights include a healthy ice-cream making workshop at Healthzone (SG$5 per child) on 23rd May. Adapted from the traditional Hokkaido Milk Ice Cream recipe, learn how to make a simple yet healthy and delicious ice cream. Plus, pick up useful healthy snacking tips specially for children from a nutritionist. For bookings, please call 1800 435 3616 or email HPB_Health_Zone@hpb.gov.sg by 20 May. 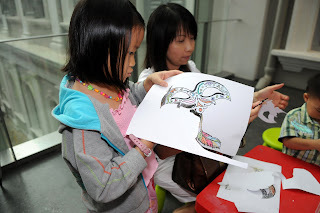 Elsewhere, enjoy a quiz challenge at the Changi Museum where you and your child will have fun searching the galleries for clues with the help from an audio-guide and challenge kit. (SG$15 per adult/child pair). For bookings, please email changi_museum@pacific.net.sg. 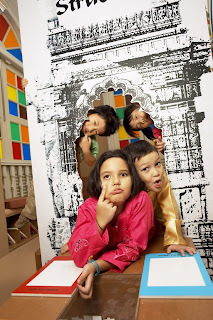 Or your children might enjoy the “I Can Guide” programme at the Peranakan Museum, which trains children to be museum guides for their own peers. 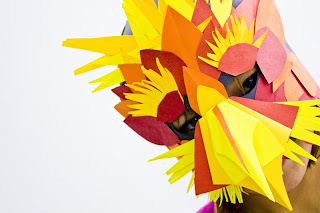 There are also crafty kids workshops at the Mint Museum of Toys where kids can learn how to make 3D animal masks or animal finger puppets (SG$20 per session or SG$38 for 2 sessions). There are also plenty of exciting activities, some ticketed, some free, happening at the National Museum as part of their Children's Season '09, so check out their website for the details. There are many more events, so please visit the International Museum Day website for details. I love taking my children to the Museum! I just wanted to let you know that I have an award for you over at wahmresourcesite. Have a wonderful weekend!